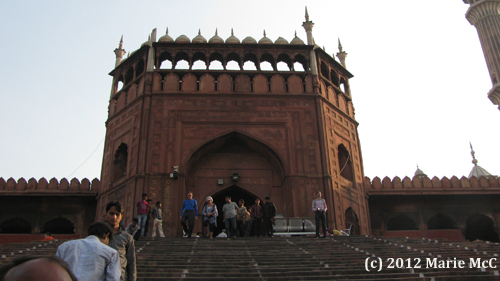 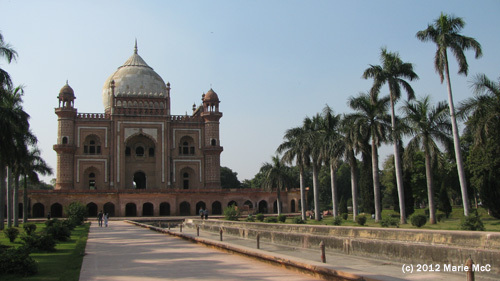 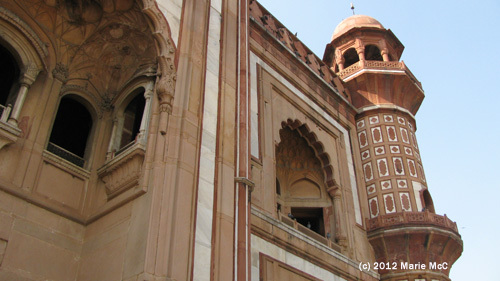 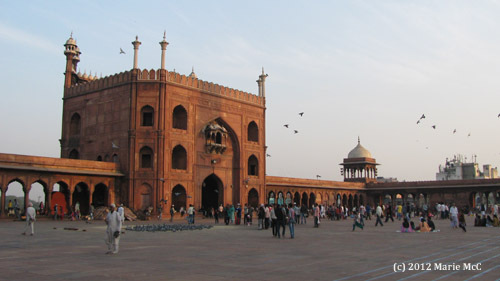 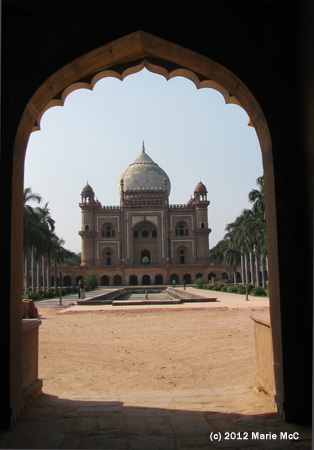 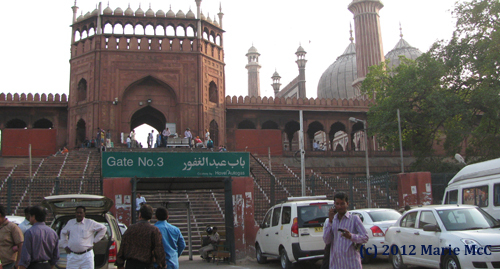 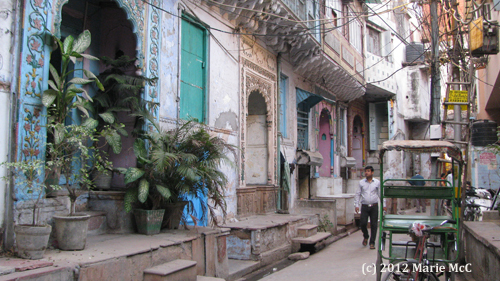 In Hindi, naughara means nine houses and gali is alley. 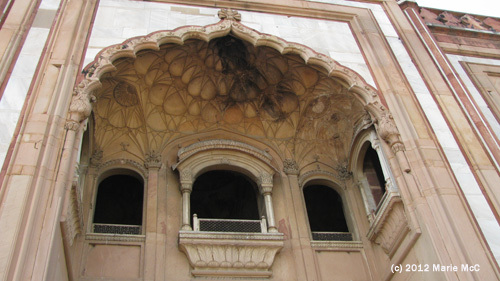 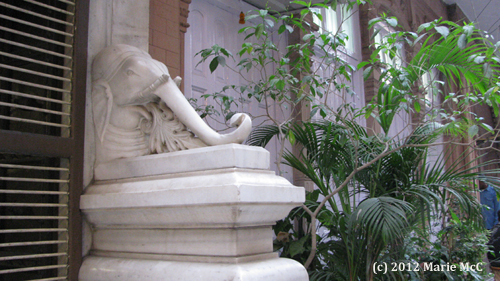 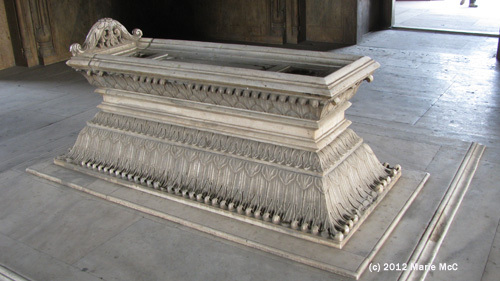 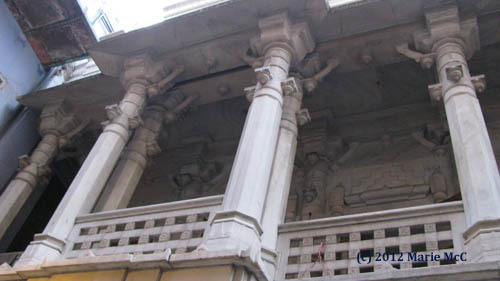 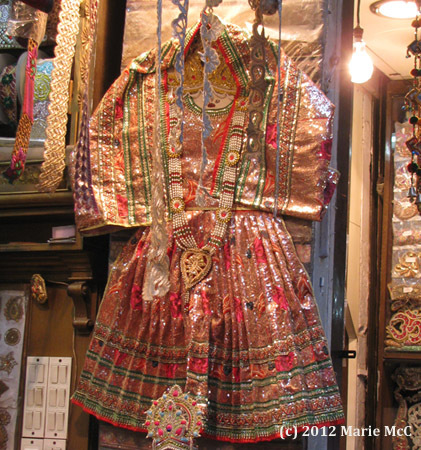 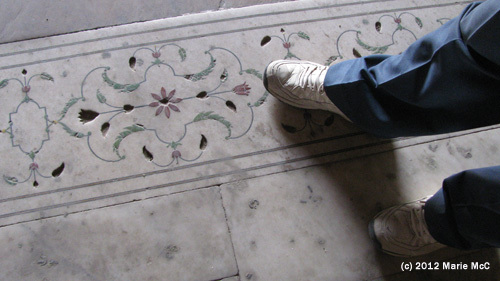 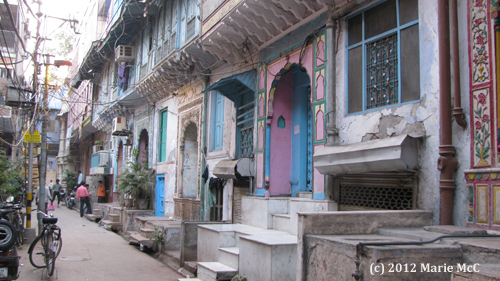 Naughara Gali is an alley where nine colorful Jain havelis were built in the 18th century. 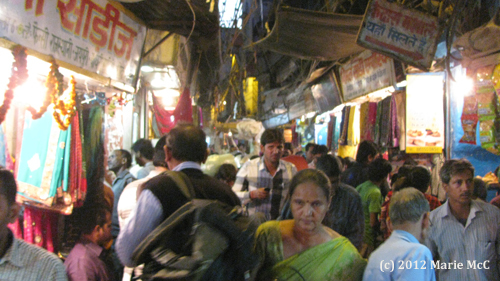 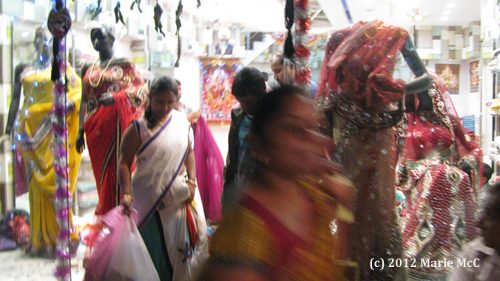 The alley is just off Kinari Bazaar and easy to miss, but Mr. Kalu knew the place very well. 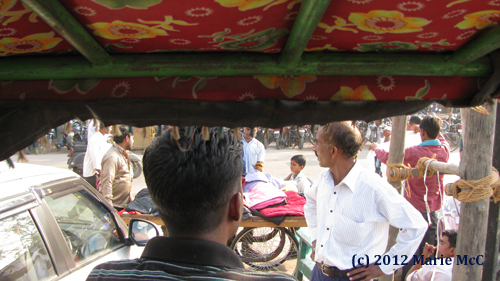 We got down from the rickshaw for a closer look. 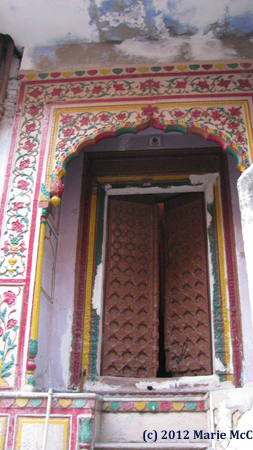 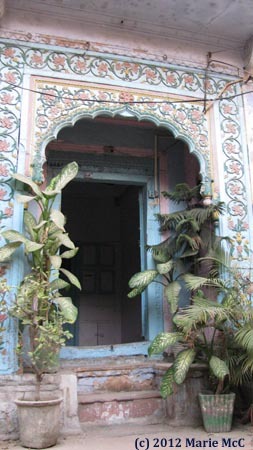 The doorways are beautifully detailed and carefully painted. 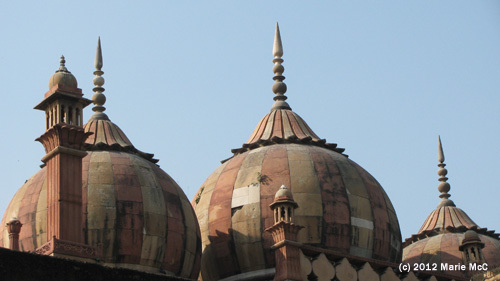 I could only wonder what lay behind them. 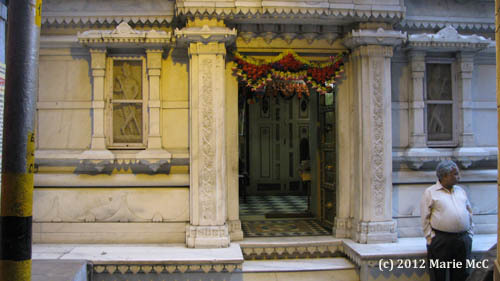 At the end of the lane, there is a white marble Jain temple. 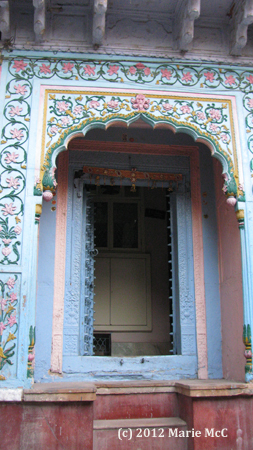 It’s almost impossible to get a good photo of it due to the narrowness of the alley. 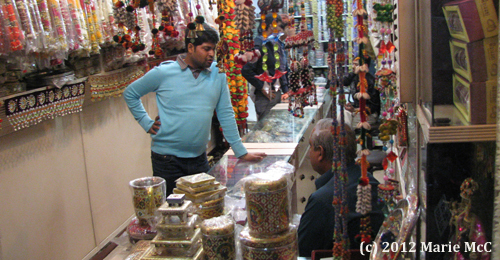 On the way out, Mr. Kalu showed me a silver shop which would have been missed by most of those passing by who didn’t know the place. 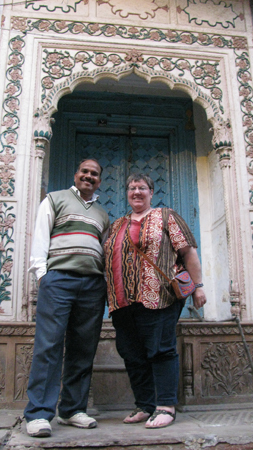 I got a sterling silver elephant cuff bracelet to commemorate the visit. 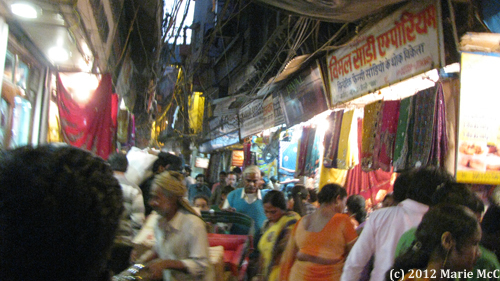 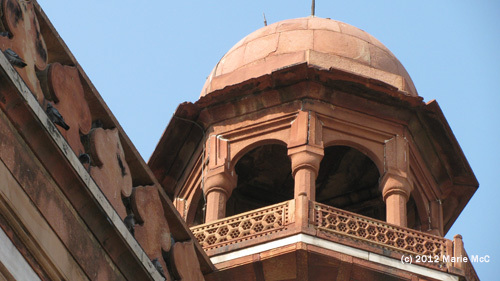 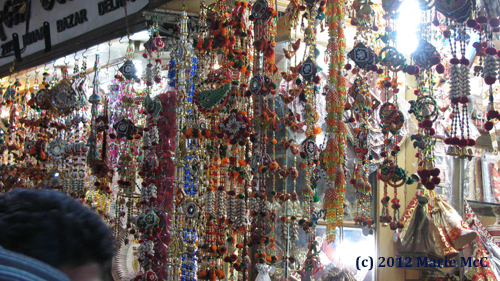 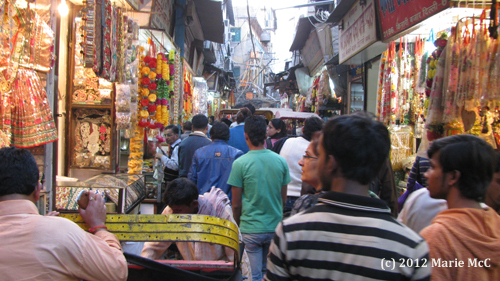 Naughara Gali, an oasis of tranquillity amidst the chaos of Chandni Chowk.